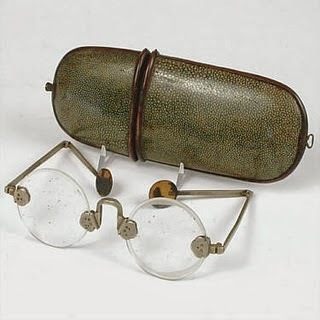 The Victorians wore some strange styles, and lenses could be tinted in any colour from black to yellow – most often they were used to protect the eyed when shooting or riding on the train. Is seems that the idea of wearing weird glasses and sunglasses to look unique and show off your personality, isn’t such a new idea! 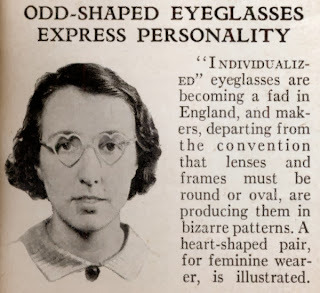 These heart shaped frames look like they might have came from the 40s or 50s! Can you imagine anyone from that time wearing these? Or perhaps you’d rather wear these mid-century beauties instead? We’re not sure if they look like bug antennae or eyebrows, either way we imagine you’d look pretty silly trying to pull off this look! We all know the 60s were a bit strange; they were experimental and a time when people were pushing the boundaries and looking towards the future. That meant a lot of strange, un-wearable fashion emerged, and sunglasses and glasses didn’t escape the trend. 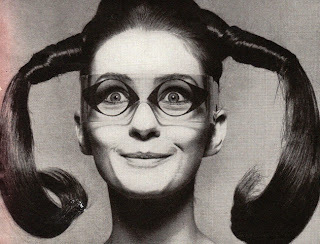 Which of these strange frames would you wear now? 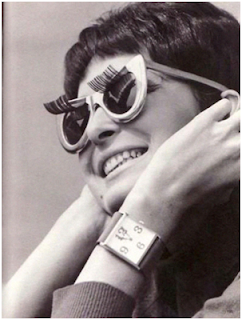 Well, eyeliner was big in the 60s, so why not wear it on your glasses too? 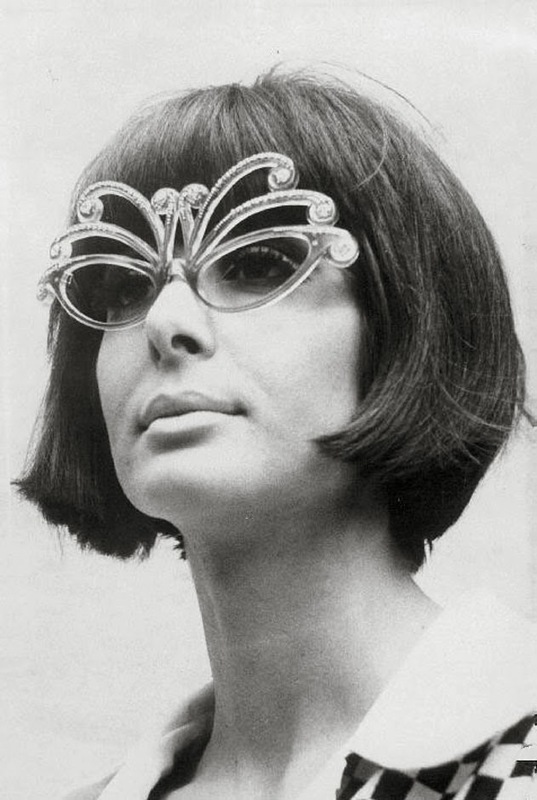 60s Butterfly style glasses; could you see any modern celebrities wearing these? All Images above from Design Catwalk. 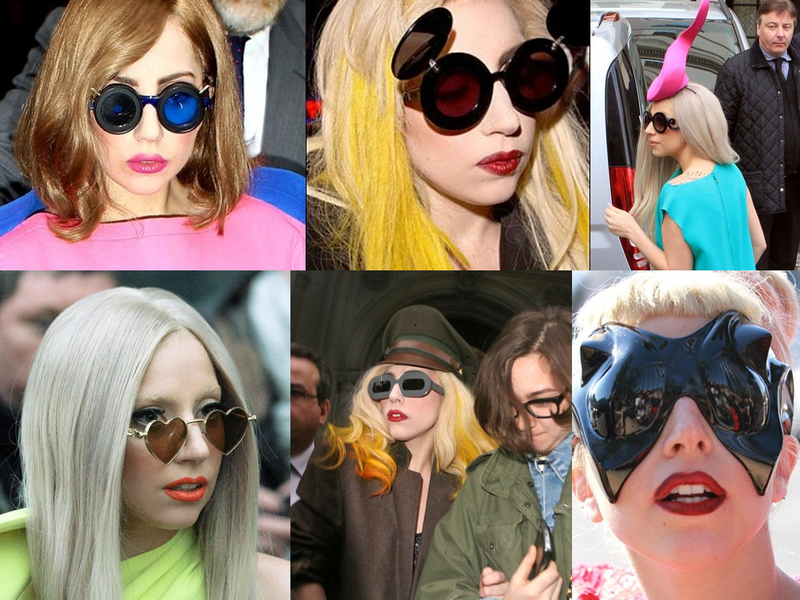 As far as we can see, Lady Gaga is running the style stakes when it comes to weird and wonderful sunglasses; the Mickey Mouse style she wore in her Paparazzi music video launched an instant trend, and the alien glasses by Mugler (Bottom right) really got the world talking!